For Sites with a Fall from LEFT → RIGHT or vise versa. Bearers & Joist Construction. Contemporary $ 385,500 32 Sq. Split Slab - Slab on Ground Construction. Metro Façade $ 370,400 33 Sq. Classic Façade $ 395,800 34 Sq. Face brickwork with concrete roof tiles as standard. Render finish Optional P.O.A Contemporary $ 412,200 35 Sq. Metro Façade $ 378,800 29 Sq. Pricing based on: Face Brickwork exterior, Concrete Tile roof. Contemporary $ 478,000 40 Sq. Pricing based on: Face Brickwork exterior, Concrete 16m. Contemporary $ 352,700 27 Sq. Federation $ 424,000 37 Sq. 2.6m HIGH Ceilings Throughout. Cement render & painted finish to Front facade + Portico columns as indicated. TERMI-MESH Physical termite barrier to perimeter. Contemporary $ 437,200 34 Sq. Classic Façade $ 409,600 34 Sq. ~2.6m High ceilings throughout. Silicone jointed corner window to Theatre. Feature splashback window to Kitchen. Scyon STRIA architectural cladding. Cement render and painted finish to selected areas. Feature wall tiles to the Portico/Balcony external walls. Frameless glass balcony railing incl. Metro Façade $ 464,800 35 Sq. Classic Façade $ 625,300 399 Sq. Contemporary $ 299,400 24 Sq. Contemporary $ 301,200 23 Sq. Bedroom 1 located upstairs Classic Façade $ 343,900 25 Sq. Bedroom 1 located downstairs Classic Façade $ 346,700 27 Sq. Classic Façade $ 349,300 25 Sq. Contemporary $ 268,800 20 Sq. Includes Face brickwork & Concrete roof tiles.Note: Bagged & painted brickwork, Colorbond metal roofing & Stacked stone cladding are optional upgrades. Contemporary $ 372,300 31 Sq. Includes as standard 3300 High ceilings to Mid-Floor plus Alfresco, Slate Stacked Stone cladding, Moroka Bag & painted finish to Garage, Hardies SCYON Linea weatherboards, 1200mm Split Slab construction. Metro Façade $ 442,200 33 Sq. Contemporary $ 375,800 31 Sq. Moroka Bag & Painted finish to Porch facade only, Face brickwork to remainder of exterior brickwork. Tube ship rail profile included to Balcony railings. Skillion roof profile with Colorbond metal roofing included as standard Metro Façade $ 389,400 31 Sq. Metro Façade $ 382,900 30 Sq. Includes Covered Alfresco. Contemporary $ 400,800 32 Sq. Mayfield MKIII suits 50ft frontage. Classic Façade $ 407,300 33 Sq. MIAMI MKIII UPSLOPE 42 SQUARES. Face brickwork only, Cement render is an Optional upgrade. Metro Façade $ 510,500 42 Sq. The Ultimate Split Level - Double Storey Home Design. Designed to compliment the best of 21st century living, bagged brickwork features included. Metro Façade $ 517,500 39 Sq. Face brickwork & concrete roof tiles are standard. Bag & painted finish is included to Portico Brickwork only. Metro Façade $ 453,400 36 Sq. Face brickwork & concrete roof tiles are standard. Bag & painted finish is included to Portico Brickwork only. Metro Façade $ 421,900 32 Sq. Face brickwork & concrete roof tiles are standard. Bag & painted finish is included to Portico Brickwork only. Metro Façade $ 380,400 30 Sq. Face brickwork & concrete roof tiles are standard. Bag & painted finish is included to Portico Brickwork only. Metro Façade $ 449,200 36 Sq. NEWPORT MKIV - 34 SQUARE. Face brickwork & concrete roof tiles are standard. Bag & painted finish is included to Portico Brickwork only. Metro Façade $ 427,000 34 Sq. NEWPORT MKV - 35 Square. Face brickwork & concrete roof tiles are standard. Bag & painted finish is included to Portico Brickwork only. Metro Façade $ 440,300 35 Sq. Face brickwork & concrete roof tiles are standard. Bag & painted finish is included to Portico Brickwork only. Metro Façade $ 426,700 33 Sq. Metro Facade, Skillion Roof profile with Colorbond metal roofing. ( Note: Price includes Face brickwork exterior finish) Metro Façade $ 476,100 36 Sq. Face brickwork only, render &/or stone cladding are Optional extras. Metro Façade $ 507,300 38 Sq. Santa Monica MKI Upslope Design. List price includes 21m2 of BESA Block retaining walls to sub-floor. Metro Façade $ 570,900 40 Sq. List price includes 22m2 of BESA Block retaining walls to sub-floor. Metro Façade $ 579,900 40 Sq. Pricing based on face brickwork plus concrete roof tiles. Stacked stone Patio column, bagged & painted finish with Colorbond metal roof sheeting are optional upgrades. Contemporary $ 316,900 24 Sq. Contemporary $ 361,400 28 Sq. Includes; Concrete Tile roofing, stack stone features, face brick only ( no feature cladding ). Contemporary $ 352,100 28 Sq. Stacked Stone Portico columns included, Louvre shade frame between Portico posts on Front side only. Bagged and painted finish Excluded (Optional extra). Contemporary $ 353,100 28 Sq. Skillion Façade $ 505,500 42 Sq. 2740mm High Ceilings to Rear Ground floor living. 1200mm wide cavity door isolates Theatre room. Splashback feature window to Kitchen. Contemporary $ 421,400 34 Sq. Metro Façade $ 436,700 34 Sq. Contemporary $ 368,300 27 Sq. Metro Façade $ 494,900 40 Sq. Includes; 2700mm 9ft ceiling heights Throughout the Upper 1st Floor, Besa retain walls to lower ground floor level, Provincial facade. Stacked Stone Cladding to Home Theatre feature, Blackbutt HWD Deck, Silicone jointed corner windows. Contemporary $ 555,600 49 Sq. Includes; Colorbond roofing, 3300mm 11ft & 3000mm 10ft ceiling heights, Besa retain walls to lower ground floor level, Modern Metro facade with Stacked Stone Cladding to Entry Columns, 1200wide Front door + Hi-Lite, Merbau HWD Deck, Silicone jointed corne Contemporary $ 554,200 48 Sq. Contemporary $ 278,600 22 Sq. Includes; Concrete Tile roofing, stack stone features, face brick only ( no feature cladding ). Contemporary $ 454,800 36 Sq. Facade includes full face brick, no weatherboards. 15m. Includes; Moroka Bagged & painted finish to facade only, Colorbond roofing, 2700mm 9ft ceiling heights throughout upstairs, Besa retain walls to lower ground floor level, Modern skillion roof profile with Hardies STRIA cladding. Metro Façade $ 480,700 36 Sq. Metro Façade $ 470,300 34 Sq. Colorbond Roofing + Bagged and painted features in 15m. The Ultimate Double Storey Home Design. Designed to compliment the best of 21st century living. Metro Façade $ 443,900 35 Sq. Price based on face brickwork finish only. Cement render & painted finish excluded. 2700mm & 3640mm HIGH ceilings throughout Ground Floor Living,Garage & Alfresco areas as indicated on floor plans. Metro Façade $ 584,000 44 Sq. Metro Façade $ 487,300 42 Sq. Split Level Design Classic Façade $ 287,600 25 Sq. Face brickwork finish only, 3640mm 12ft ceiling heights as indicated, perimeter architraves to windows front elevation, Planter box to foyer, Hi-Lite windows to high ceilings as indicated, Bi-fold server window, 1200 wide Entry Door. Metro Façade $ 486,300 39 Sq. Metro Façade $ 470,100 37 Sq. Price Based on Sapphire level of inclusions, Stack stone cladding Excluded, Exposed rafter ends Excluded, Concrete Roof Tiles, Planter box included. Metro Façade $ 481,200 38 Sq. Contemporary $ 373,800 30 Sq. Contemporary $ 431,000 34 Sq. Includes Stacked Stone cladding & ColorBond Metal Roofing. Metro Façade $ 422,000 33 Sq. Contemporary $ 381,600 33 Sq. Contemporary $ 455,400 38 Sq. SEDONA MKII - TRI-LEVEL - Hip Roof Version - Downslope Design. Includes Stack stone cladding to Portico Columns, Conventional facade which incorporates a concrete tile - Hip roof profile. Contemporary $ 402,800 37 Sq. Sedona MKII - TRI-LEVEL - Metro facade - Skillion Roof. Includes Stacked Stone cladding & ColorBond Metal Skillion Roof. Metro Façade $ 453,100 37 Sq. Contemporary $ 417,100 34 Sq. Metro Façade $ 458,200 34 Sq. Contemporary $ 398,000 33 Sq. Taubmans Moroka Bagged and painted finish to Front elevation. Stacked stone cladding to Portico columns, Hampton style decorative bars to Theatre window. Federation $ 415,100 32 Sq. Pricing Based on Face brickwork + Concrete roof tiles.Stacked stone Patio column , Bagged & painted finish & Colorbond metal roof sheeting are Optional upgrades. Classic Façade $ 323,900 24 Sq. Skillion Façade $ 443,300 36 Sq. Classic Façade $ 245,200 21 Sq. Optional Alfresco is Excluded. Metro Façade $ 268,600 23 Sq. Metro Façade $ 242,600 20 Sq. Face brick exterior only (Render is an Optional upgrade). Contemporary $ 284,100 25 Sq. Contemporary $ 322,200 31 Sq. Casablanca Single storey - no split. Metro Façade $ 379,300 34 Sq. Skillion Façade $ 121,650 7 Sq. Classic Façade $ 284,200 27 Sq. Metro Facade - Colorbond metal roofing, Ezi stone clad feature column, face brickwork exterior finish. Skillion Façade $ 295,100 25 Sq. 3040mm HIGH ceilings to Foyer and Bedroom 1. 2440mm Ceiling heights to remainder of dwelling. Contemporary $ 291,800 24 Sq. Metro Façade $ 240,600 19 Sq. Classic Façade $ 290,800 27 Sq. Metro Façade $ 283,300 24 Sq. Classic Façade $ 299,000 28 Sq. Classic Façade $ 254,600 23 Sq. Classic Façade $ 266,100 25 Sq. (Raked ceilings to Family room & Kitchen Included - 2400m 8ft Ceilings to remainder, Garage Step Down excluded & Deepened edge beams to Verandah excluded.) Federation $ 325,200 32 Sq. SEVILLE ( Alfresco Included ). Classic Façade $ 272,200 25 Sq. Metro Façade $ 228,800 18 Sq. Metro Façade $ 276,700 25 Sq. Cement Render & painted External walls included as indicated, Colorbond Metal Roofing included. Colonial Façade $ 396,200 31 Sq. Contemporary $ 372,700 31 Sq. Contemporary $ 387,300 34 Sq. ~2.44m Standard height ceilings throughout. Silicone jointed corner window to Theatre. Feature splashback window to Kitchen. Scyon STRIA architectural cladding. Cement render and painted finish to selected areas. Feature wall tiles to the Portico/Balcony external walls. Frameless glass balcony railing incl. Contemporary $ 443,800 35 Sq. Pricing Based on Face brickwork + Concrete roof tiles. Stacked stone Patio column , Bagged & painted finish & Colorbond metal roof sheeting are Optional upgrades. Contemporary $ 318,200 27 Sq. Face brickwork exterior with Moroka bag & paint finish to Garage only. Contemporary $ 404,900 36 Sq. Concrete roof tiles included, Rear Pergola included, Face brick only - price on render is Optional extra. Metro Façade $ 438,600 38 Sq. Colorbond Roofing included, Face brick only - price on render is Optional extra. Metro Façade $ 408,900 35 Sq. Colorbond Roofing included, Rear Pergola included, Face brick only-price on render is optional. Metro Façade $ 411,800 37 Sq. List price based on level site with no step down to Garage floor. Panel lift garage door allowed standard profile only i.e. Hampton style door is an optional upgrade if required. Cement render and painted finish allowed to garage walls & Study walls only as indicated, face brickwork and cladding to remainder. Stacked stone cladding allowed to base of front columns as indicated. Raked ceiling incl. to Balcony. HR40 standard railings to balcony only. Concrete tiled roof. Contemporary $ 393,200 29 Sq. Face brick finish only, Render & painted finish is Excluded. Includes Silicone jointed corner window, Colorbond metal roofing, 2740mm High Ceilings, Tube ship rails to Balcony. Metro Façade $ 524,000 44 Sq. Metro Façade $ 286,700 21 Sq. Includes Colorbond metal roof sheeting. Moroka bag & painted finish to the Garage only including 1 front 1 side.Raked ceilings are included over the Library. Metro Façade $ 404,700 33 Sq. Skillion Façade $ 417,100 35 Sq. Contemporary $ 395,100 36 Sq. 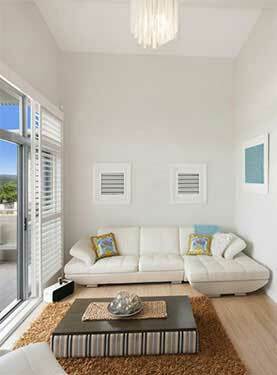 San Souci GF1 FF1 Dbl Storey - 37 Square (No Split) Ground floor straight through. Price based on: Stack stone cladding to garage door perimeter only. Bagged and painted finish excluded. 2700mm (9ft) ceiling heights throughout Ground Floor Living, Alfresco + Garage. Contemporary $ 439,100 37 Sq. Price includes Face brickwork only (no render) , Portico Louvre excluded (2.4m 8ft ceilings throughout) , Colorbond metal roofing incl. Slate Stacked stone cladding incl. Hardies Newport external weatherboards. Metro Façade $ 405,200 34 Sq. Price based on: Stack stone cladding to garage door perimeter only. Bagged and painted finish excluded. 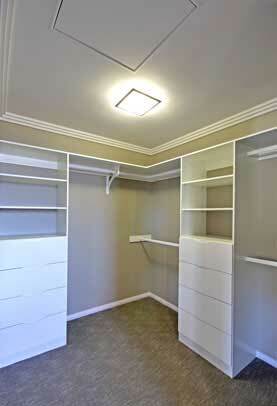 Standard 2400mm (8ft) ceiling heights to both levels. Metro Façade $ 402,900 36 Sq. Classic Façade $ 382,400 38 Sq. Contemporary $ 292,300 22 Sq. Contemporary $ 311,500 25 Sq. Includes Cement render & painted exterior, Ezi-stone cladding, S/Steel Balustrades to Internal stairs, Front Balcony & Portico, Curved C/Bond roofing, Pergola structure, Wet Bar with sink, colorbond metal Panel lift garage door. Curved Roofing $ 546,400 44 Sq. Classic Façade $ 412,800 38 Sq. Classic Façade $ 391,900 39 Sq. Contemporary $ 406,300 43 Sq. This split level design includes split slab construction downstairs. Metro Façade $ 505,500 42 Sq. Classic Façade $ 368,600 30 Sq. Colorbond metal roofing, Cement render & paint to Garage and Bed 4. Weatherboards to perimeter. Colonial Façade $ 393,100 31 Sq. Colorbond metal roofing, Cement render & paint to Garage and Bed 4. Weatherboards to perimeter. Colonial Façade $ 399,700 32 Sq. (Vegas MKI living upstairs Includes; Tiled Balcony over Garage with Roof extended over, Cement render exterior & Tinted windows to Front elevation). Classic Façade $ 470,800 41 Sq. Tiled Balcony. Metro Façade $ 545,400 43 Sq. 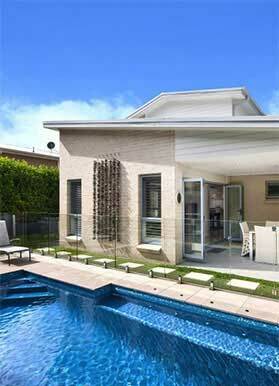 Single Storey & Double Storey Dual Occupancy designs. Cement render and painted finish included to Bedroom 1 street facing walls only, remainder of dwelling is Face brickwork.HR40 Framed Glass included to both street facing Balconies.Colorbond metal roofing Metro Façade $ 658,900 45 Sq. Contemporary $ 606,500 44 Sq. Contemporary $ 490,000 38 Sq. Metro Façade $ pending 37 Sq. Colorbond metal roofing included. Suspended concrete Balcony to first floor with tiled finish. Metro Façade $ 404,200 32 Sq. Metro Façade $ 400,300 34 Sq. Contemporary $ 429,100 42 Sq. Classic Façade $ 434,800 44 Sq. Includes Colorbond metal roofing, Stacked stone features, Laundry bench cupboards as standard. Note: Face brickwork only included as standard. Metro Façade $ 451,800 42 Sq. Contemporary $ 341,200 31 Sq.